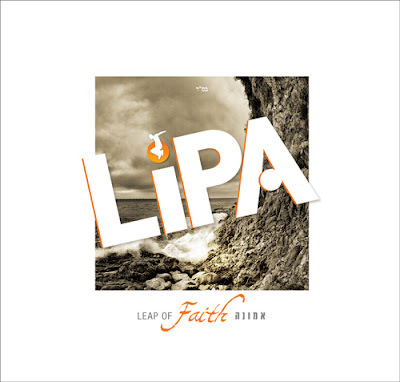 Rockland County, NY - With the release of chasidic superstar/entertainer Lipa Schmeltzer’s new album just days away, Lipa is giving fans a small taste of what to expect when his new album, titled Leap of Faith, hits the stores in just over a week. weeks after the album release, with two winners being chosen: one will win a guest appearance by Lipa at an upcoming simcha, while the other will receive one of Lipa’s trademark bekeshes, worn by the singer at several shows. Lipa’s signature will appear not on the actual disc, which has yet to be printed, but on the accompanying booklet that will be in the CD case. Lipa admitted that he has devoted a considerable amount of time every night, not in the recording studio, but in his home signing albums as a way of giving something back to his fans. Lipa’s decision to personally autograph each album is just another innovative idea from the entertainer who is as well known for his out of the box thinking as he is for his colorful attire and ever changing glasses.